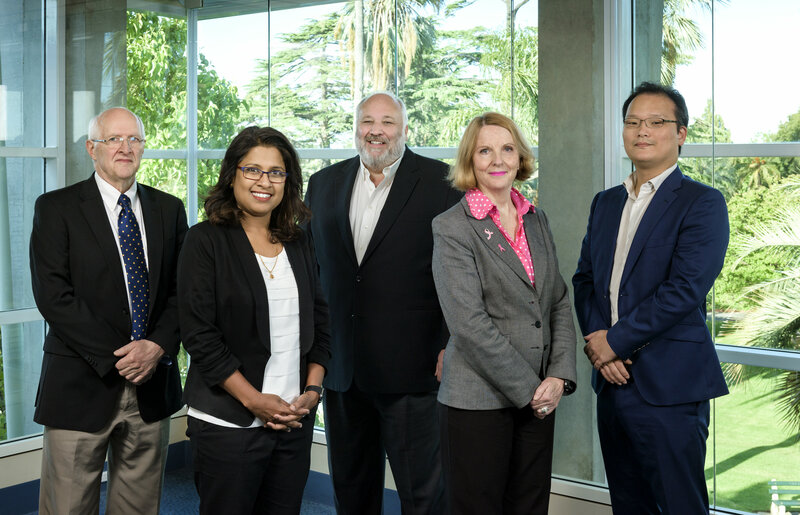 The Breast and Endocrine Centre, located in the heritage-listed Attunga House at Burnside Hospital, celebrates its 20th year this month. The October anniversary launches a new era of breast care as the two founding doctors, Dr’s Clive Hoffmann and Stephen Birrell, have expanded the practice to welcome three new Breast and Endocrine surgeons, Dr Subhita Prasannan, Dr Peter Shin and Dr Andrew Kiu. The Breast Centre team will celebrate the past and the future at a small gathering at Attunga House in October. The Breast and Endocrine Centre was originally established in partnership with the Burnside Hospital in October 1998 by Dr’s Clive Hoffmann and Stephen Birrell. Their vision was to provide comprehensive, contemporary, coordinated care in the one location for women and men with breast and endocrine problems, including breast cancer. In the early days, the Hospital worked closely with the doctors to establish a co-located services with Dr Jones and Partners Radiologists so that most patients could have their problems diagnosed and if necessary, treatment initiated in one visit. Subsequently a dedicated chemotherapy centre was established to provide treatment within the hospital location. More recently, the Breast Centre has expanded and redeveloped the consulting and waiting spaces to manage the increased activity and to improve the patient experience. 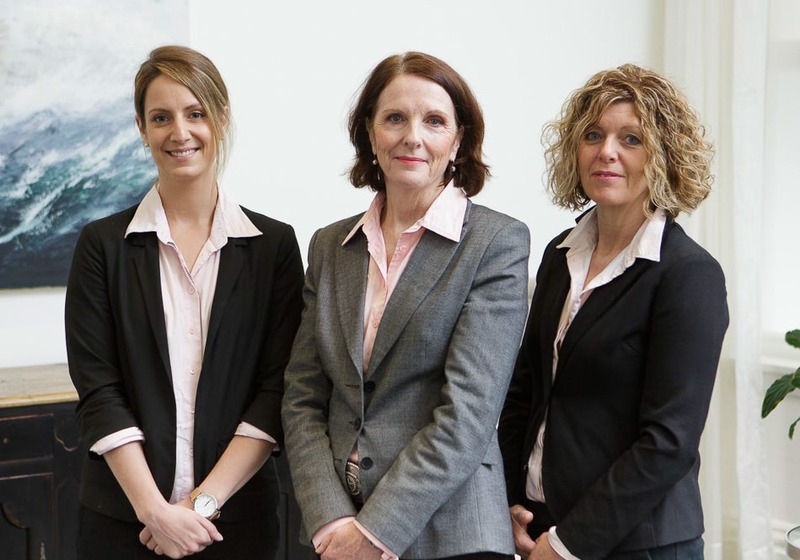 The Breast Centre team consists of the two founding surgeons, the three new surgeons, a breast clinician, a clinical psychiatrist, three Burnside Hospital breast care nurses and four supporting administrative staff. In addition, there is a multi-disciplinary team consisting of the surgeons, breast specialist radiologists and pathologists, medical and radiation oncologists and plastic and reconstructive surgeons who all meet on a weekly basis to provide input into management of each patient with breast cancer. Patients value the continuity of care that is provided by this service and comment that seeing a familiar face at each stage of treatment provides much-needed comfort. The model of care has flourished and today, some 8000 patients per year continue to receive care at the Breast and Endocrine Centre. Approximately 600 breast related surgical procedures were conducted at Burnside Hospital during the 17/18 financial year, including breast reconstructions. It is remarkable to consider the extent of the care that Dr’s Hoffmann and Birrell have provided to the SA community over 20 years and this is a legacy of which my colleagues and I are extremely proud. It is our duty and our privilege to continue such a high calibre of care and to provide leading-edge clinical practice to a new generation of men and women into the future. The 20th birthday in October coincides with National Breast Cancer Month and the team are using the occasion to remind women and men about breast health and regular checks. Breast cancer remains the most common cancer among Australian women (excluding non-melanoma skin cancer). Survival rates continue to improve in Australia with 89 out of every 100 women diagnosed with invasive breast cancer now surviving five or more years beyond diagnosis (Cancer Australia). 18,000 Australian women will be diagnosed with breast cancer in 2018 (Cancer Council).